Plugin help you in creating any type of form required in your blog or website. Here you will get all top plugins which help you in creating form. 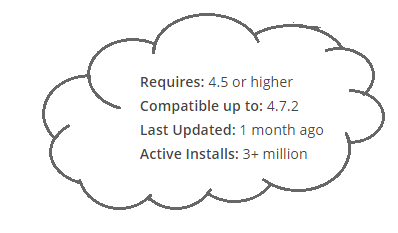 You can install any form by checking their ratings, reviews, last updates and compatibility. You can create many form in your site as well as customize any form by adding or removing fields. Akismat help contact form 7 plugin for spam filtering process so you do not need to worry for spam submission. Similar to contact form 7 plugin, Ninja forms also a free plugin tool and help you to create any type of form within minutes. This plugin provide drag and drop facility so you can design without writing single line of code and if you are developer then also you can make change as per your requirement. Easy to use filed like email, phone number,address & dates. You can make required field compulsory. Give success message and also redirect user to other page after completion. Email form data to administrators every time a form is processed. Several anti-spam options like Google reCaptcha, question/response fields, & honeypot fields available. Before install you can check Demo and create demo form.